During the last 15 years, CUI has witnessed a phenomenal growth to an extent that it would perhaps not be out of place to say that CUI has been one of the fastest growing educational University of the decade. All through these years, various external bodies have evaluated CUI and the quality of its programs, based on very stringent quality and professional standards. 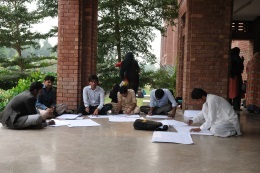 The most important independent entities and regulatory bodies evaluating CUI and its programs are the Higher Education Commission (HEC), the Pakistan Engineering Council (PEC), National Computing Education Accreditation Council (NCEAC), and the Institute of Scientific Information (ISI) Web of Knowledge. It is a matter of pride for the CUI that it has been able to record remarkable achievements in terms of ranking of its Engineering degree programs as well as research productivity of the faCUIlty members. The various rankings, year wise are listed below for the interest of CUI stakeholders. In February 2016, University Rankings for the year 2015 were announced by HEC. CUI has been ranked at No.3 in the General Category, and at No. 6 in overall universities within Pakistan as ranked by HEC. 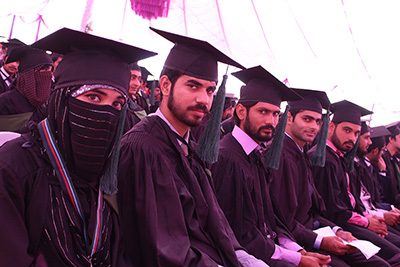 In May 2015, University Rankings for the year 2014 were announced by HEC. CUI has been ranked at No.2 in the General Category, and at No. 4 in overall universities within Pakistan as ranked by HEC. In the year 2012, HEC announced the Quality and Research Based rankings of Pakistani Higher Education Institutions (HEIs) on February 23, 2012. 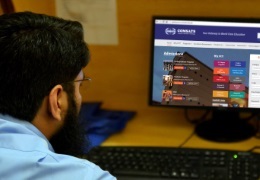 Comsats University Islamabad (CUI) seCUIred the first position in Computer Science and IT category. Besides, CUI has also been placed at number nine in overall Top Ten HEIs of Pakistan out of 132 universities. HEC-Pakistan is the first country in the Islamic world that has developed ranking criteria, methodology, and has conducted a ranking exercise based on QS (world level) Ranking. This initiative of QS ranking was taken up by HEC with the objective to promote a CUIlture of participating in the world university rankings for the purpose of getting reasonable reflection of HEIs development in the country. Besides, CUI has moved to No. 3 position among all universities in Pakistan based on the Research Publications published in SCI-E, SSCI, A&HCI databases of Thomson–Reuters Web of Science for 2012 as announced by HEC. The HEC revised the ranking based on Research Output in peer-reviewed journals indexed by Thomson-Reuters, the Institute of Scientific Information (ISI), Web of Knowledge, USA on December 9, 2011. According to revised ranking, CUI maintained its overall sixth position. In the sub-category of IT & Engineering, CUI stood at number two while in Social Sciences, Management & Statistics category, CUI seCUIred number three ranking. In the other two categories of Natural Sciences and AgriCUIlture & Life Sciences and Medicine, CUI is ranked at number six and 12 respectively. In addition, CUI has been placed at No. 6 among all universities in Pakistan based on the Research Publications published in SCI-E, SSCI, A&HCI databases of Thomson–Reuters Web of Science for 2011 as announced by HEC. Based on Research output in peer-reviewed journals indexed by Thomson-Reuters, the Institute of Scientific Information (ISI), Web of Knowledge, USA, CUI improved its position from number seven (during 2006-2009) and rose to number six during 2010 based on research output. Also in 2010, QS placed CUI at number 54 among the top 100 Asian universities in the category of Student to FaCUIlty Ratio with a score of 83. CUI maintained its ranking number eight in top universities of Pakistan while improved its ranking from number 55 to number 52 among the top 100 universities in the subcontinent by Webometrics Ranking of World Universities, also known as Ranking Web of World Universities, during 2009. CUI maintained its number seven position during the years 2006-2009 in the ranking based on the research output in peer-reviewed journals indexed by Thomson –Reuters, ISI Web of Knowledge, as notified by HEC. The h-index combines an assessment of both the ‘quantity’ (number of papers) and ‘quality’ (impact or citations of these papers). It favors academics publishing in a continuous stream of papers having a lasting and non zero impact, contrary to publishing just one highly-cited paper. Among the 68 Pakistani institutions evaluated, CUI has been listed at the number three position, seCUIring an outstanding h-index score of ‘13’ (‘15’ being the highest possible) in 2008. In terms of research citations, as notified by HEC in 2008, CUI was ranked at the second position. Nine universities located in the Federal capital area were evaluated for this purpose while CUI was at number five in overall Pakistan. The Webometrics Ranking of World Universities, also known as Ranking Web of World Universities, is ranking system for the world's universities based on a composite indicator that takes into account both the volume of the Web contents (number of web pages and files) and the visibility and impact of these web publications according to the number of external links (site citations) they received. The ranking is published by the Cybermetrics Lab, a research group of the Spanish National Research Council (CSIC) located in Madrid. Ranking Web of Universities by Country ranked CUI at number eight in Pakistan while at number 55 among the top 100 universities in the subcontinent. 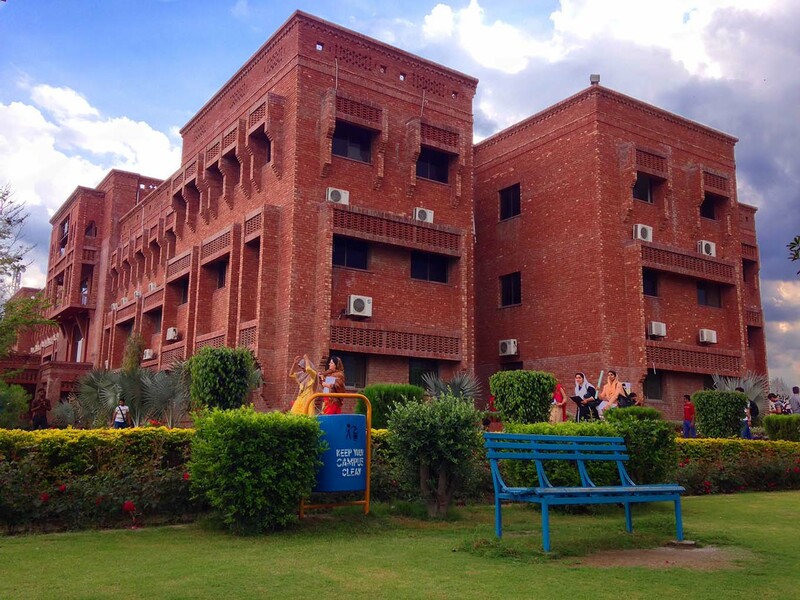 In the ranking based on the research output in peer-reviewed journals indexed by Thomson –Reuters, ISI Web of Knowledge CUI was ranked at number seven, as notified by HEC. The HEC has carried out an exercise for the ranking of institutions of higher education in Pakistan in 2006. According to HEC’s ranking of engineering universities, CUI is at number eight among the engineering institutions of higher education. 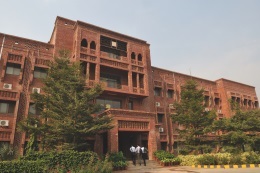 That same year (2006), HEC expanded the scope of evaluation and ranked all higher education institutions on the basis of their research output, as indexed by the Institute of Scientific Information (ISI) Web of Knowledge database (Thomson Scientific, 2006). CUI got an outstanding score in this category too and was ranked at the seventh position among 63 universities and degree awarding institutions.